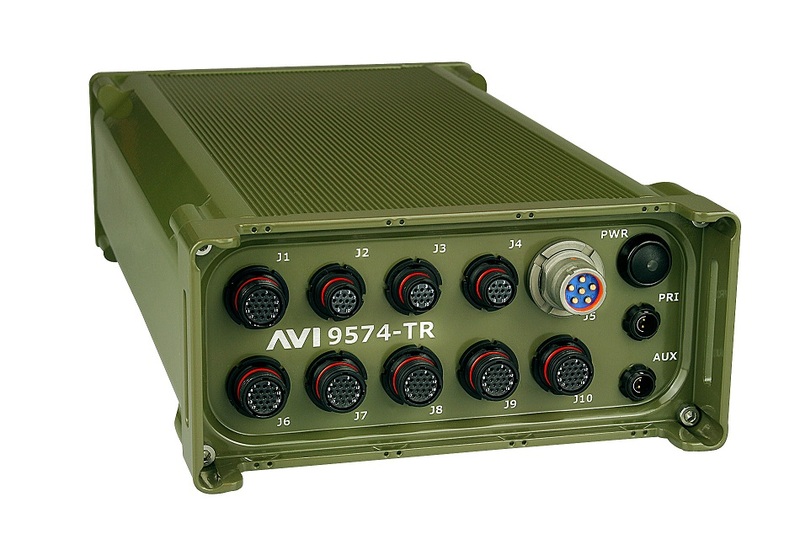 The AVI 9574 TR is a small form factor, field deployable, rugged device that delivers Radio Over IP Tactical Range Extension to the deployed military forces. The AVI 9574 TR provides three Gigabit routed ports, enabling the router to serve as an aggregation point for on-demand network connectivity in mobile or fixed deployments in harsh environments. 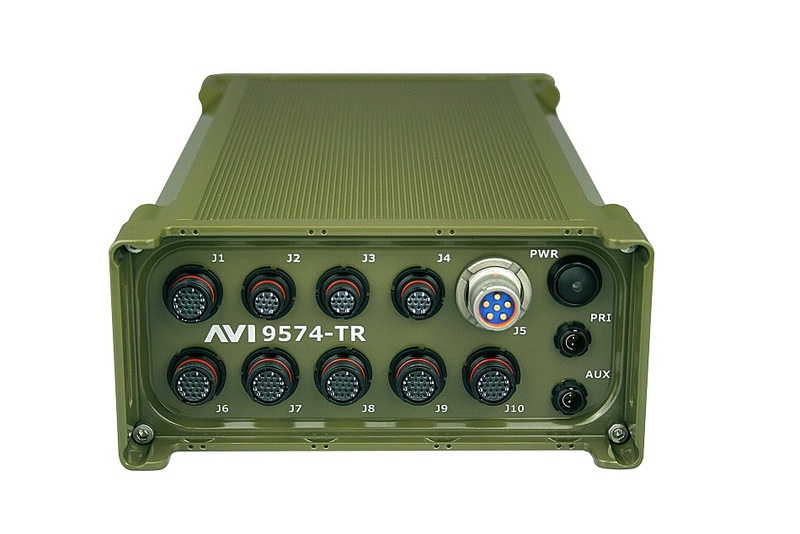 The AVI 9574 TR enables up to four voice radios and one H-250 handset to be connected to deliver multicast and SIP ROIP capability to your tactical network. The AVI 9574 TR also provides processing four serial (RS232/RS422/RS485) ports. To complete the AVI 9574 TR list of capabilities, the embedded Intel Atom computer can be used to provide data processing, storage, and re-distribution at the edge of your network. The flexible, compact form factor of the AVI FES Chassis, complimented by the high performance Cisco 5900 series ESR, embedded Radio Over IP, and on-board computing; provides highly secure yet scalable data, voice, and video communications capability to stationary and mobile network nodes across wired and wireless links. Dual redundant power inputs enable connection to mains, vehicle and/or battery power, providing uninterrupted power supply; or extended operating time on dual batteries. Using high-grade components, a rugged IP67 case and extended operating temperature range, the AVI 9574 TR is optimised for operation in extreme environments that require Radio Over IP, Computing and Cisco Routing technology. the AVI 9574 integrates seamlessly with all AVI FES modules and Cisco networks.